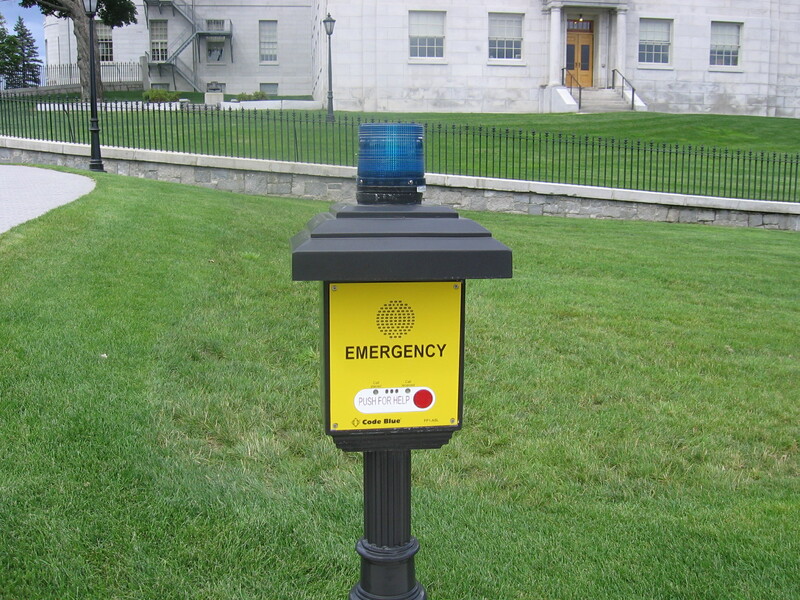 Emergency call stations are installed at key locations on the State House campus to contact help in the event of an emergency. Face the yellow panel on the call box and press and release the red button marked "Push for Help." The blue light will begin flashing. The box will automatically call Capitol Police dispatch (Building Control). Identify yourself, the emergency and the assistance requested. The call box automatically identifies your location and a Capitol Police officer will be dispatched immediately to the call box location.